If you’re designing a custom home theater, one of the most important factors to consider is the audio system. There are many surround sound systems available on the market today at various price points and brands, so choosing the right one can be challenging. The first choice to make is whether you want in-wall speakers or freestanding ones. There are pros and cons to each, so to make your decision easier, follow the guide below. What’s the Difference Between In-Wall & Freestanding Speakers? The main difference between these speakers is how they’re installed. In-wall speakers are typically placed inside or mounted on walls and ceilings, which makes them less obtrusive. Freestanding speakers, on the other hand, are bigger, heavier, and more obvious than in-wall types. As their name suggests, they can stand freely on the floor, often without support. Because of their small size, in-wall speakers can be put nearly anywhere. including behind the home theater seats or on the sides of the screen. Although in-wall speakers take longer to install, they sit flush in the walls and ceiling. They look sleek and barely take up space, making them ideal in small or crowded rooms. In-wall speakers are relatively less expensive than floor standing speakers; however, this comes with a price of lesser surround sound quality. Freestanding speakers, meanwhile, are built to reproduce accurate sounds, thanks to several components that generate different frequencies, ranges, and acoustics. With tweeter, woofer, and sub-woofer all working together, you’ll hear the softest and loudest sounds for an optimal experience. 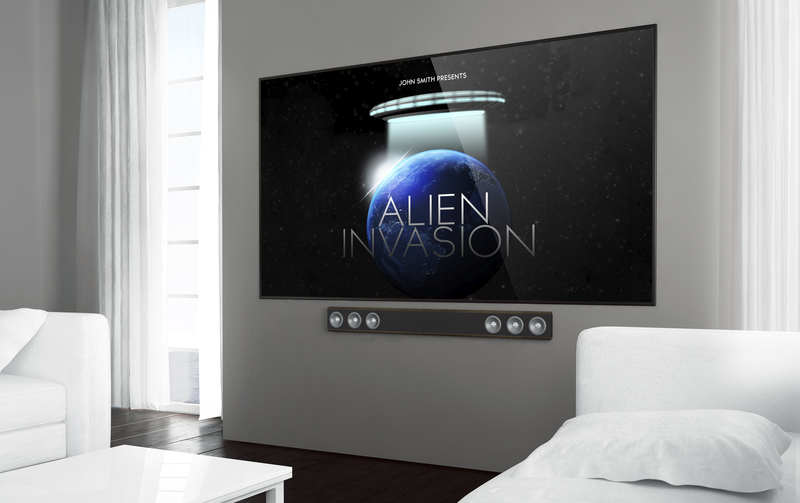 They’re easier to install than their in-wall counterparts, as you don’t have to drill holes or cut your walls — just position them where you want, then plug and play. The decision for a surround sound system boils down to your preferences, budget, and space. Freestanding speakers deliver the best sound quality, but they will also set you back more in terms of price. And because they often come in five pieces or more, they may not be perfect for small-sized home theaters. This is where in-wall speakers come in handy. Although their sound quality is not as robust, they give you more flexibility with space and your budget. When you need surround sound for your custom home theater, look no further than Premiere Home Theater. Their team of audio-visual professionals provides outstanding installation services and top-notch designs for media rooms throughout Mecklenburg County, NC. If you can’t decide between in-wall speakers or a freestanding model, they’ll analyze your space and budget to help you determine the best fit. To learn more about their services, call (704) 449-9448 or visit them online today.